Kyoto has many cherry blossom spots. 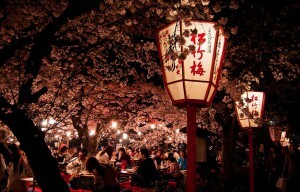 Not only cherry blossoms you see in the day time but also illuminated trees at night are very beautiful. 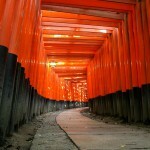 We are going to introduce best 5 cherry blossom spots (park and walkway) you must visit in Kyoto. 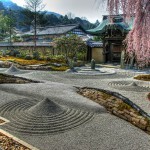 Maruyama Park is the most famous park for cherry blossom spots. 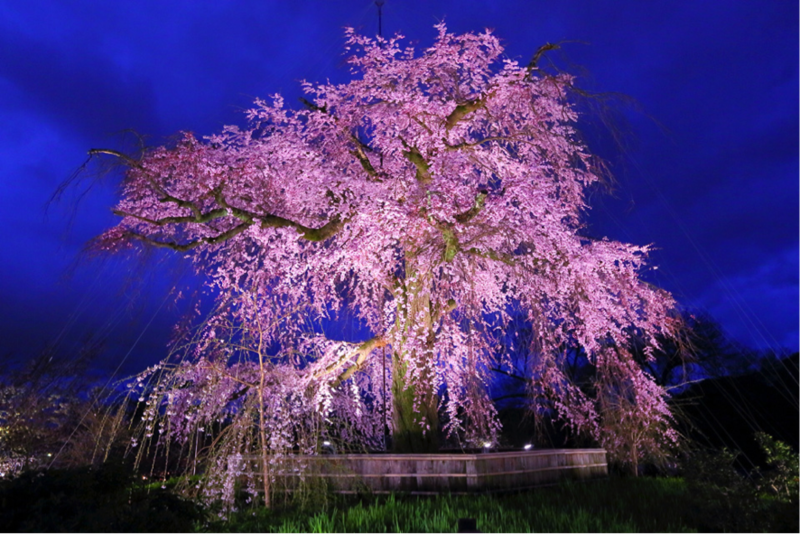 The symbol of the park in spring is a big weeping cherry tree which is illuminated at night. 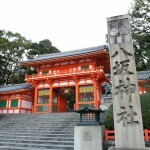 The park is next to Yasaka Shrine and get crowded in April. 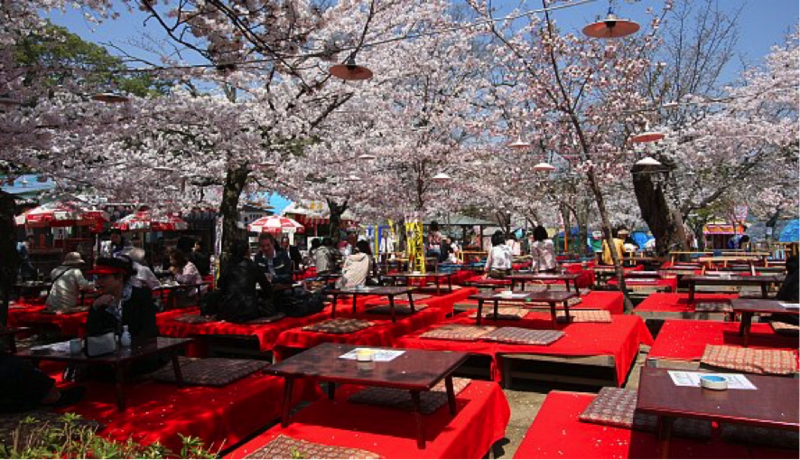 There are a lot of stalls with tables under cherry trees. Illumination: after sunset to 1:00 a.m. 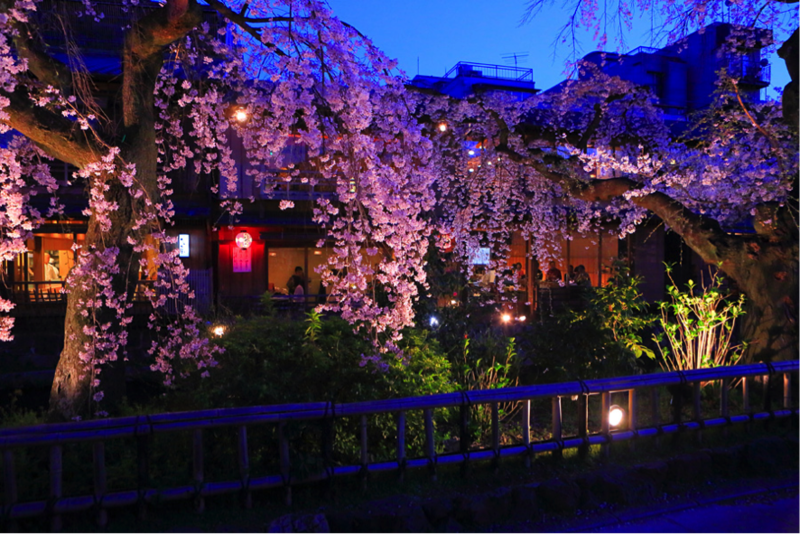 Along the Shirakawa Canal in the Gion, there are many cherry blossom trees, with the appearance of old Kyoto. At night, the trees are illuminated. 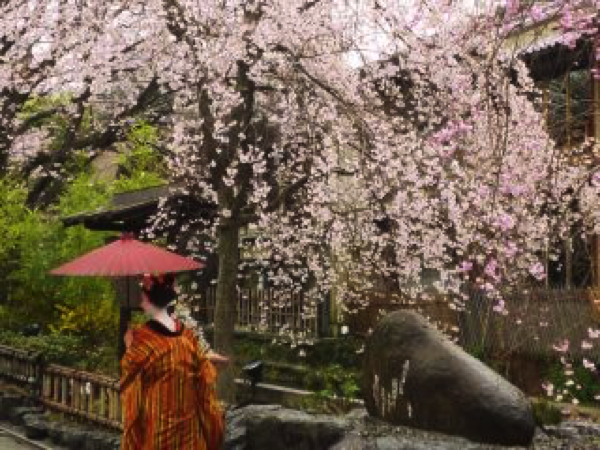 If you meet maiko or geisha, you are lucky. 6:00 p.m. ~ 10:00 p.m. The Philosopher’s Walk is a path along a canal between Ginkakuji Temple and Nanzenji Temple. It is said that Japanese philosopher and Kyoto University professor have used it for daily meditation, so the path was named so. Hundreds of cherry trees stand along the path. The canal is located outside of the Heian Shrine. 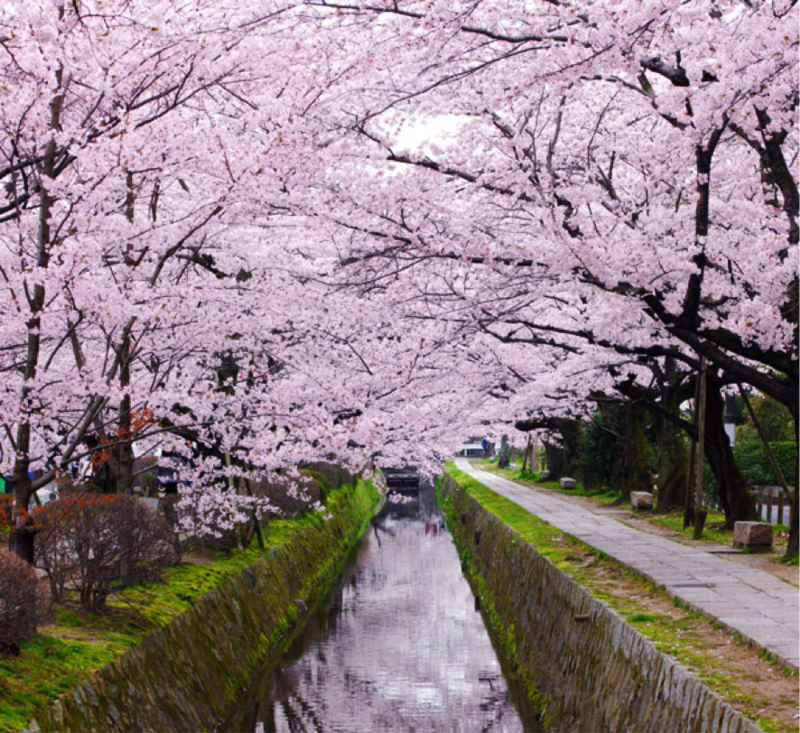 There are a foot path along the canal and bridges across it, so you can see the beautiful lines of cherry blossom trees. Boat Cruise is conducted. The trees are illuminated at night and you can see them from the boat. 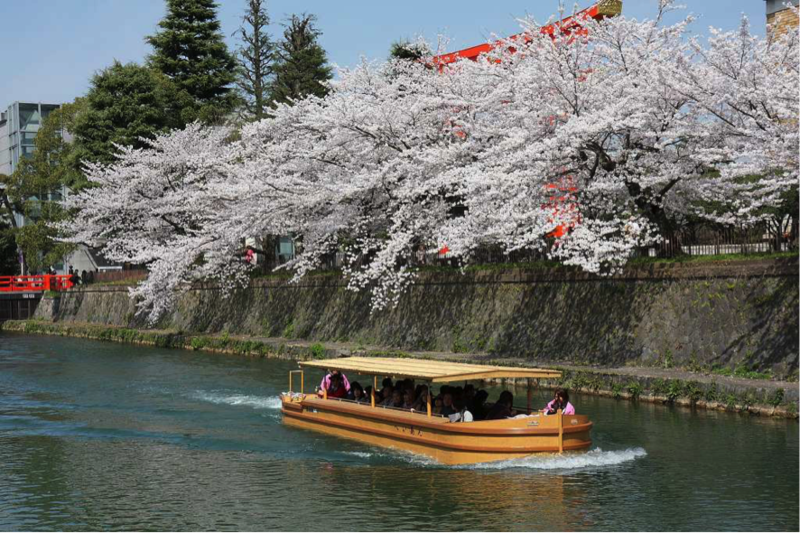 Kamo River is located in the center of the Kyoto City. The riverbanks are popular walking spots and running spots. 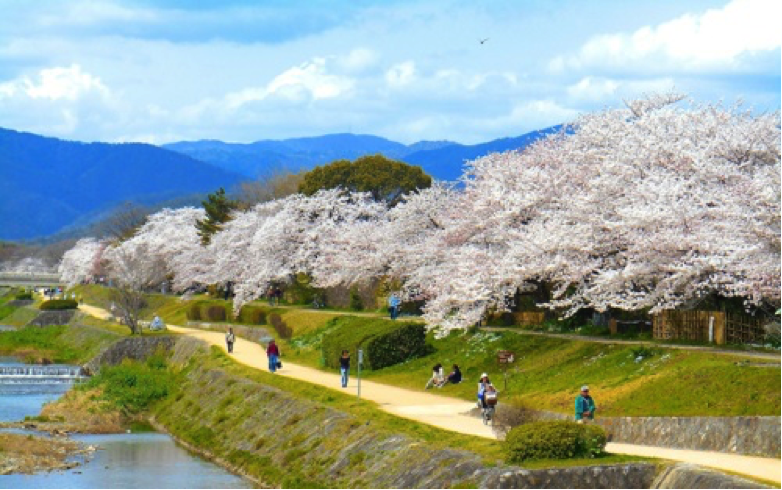 In spring, it is lined by cherry blossom trees. There are many trees especially between Sanjo (三条) and Shijo (四条), and around the Kitaoji Street (near the Kyoto Botanical Garden).